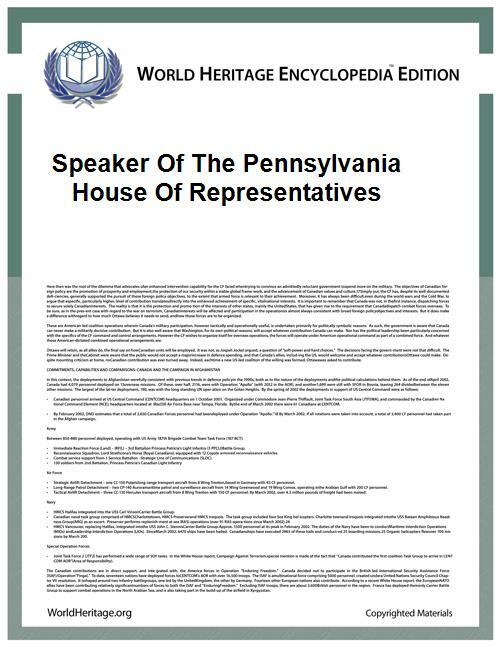 The speaker of the Pennsylvania House of Representatives holds the oldest state-wide elected office in the Commonwealth of Pennsylvania. Since its first session under the Frame of Government in 1682, presided over by William Penn, over 130 House members have been elevated to the speaker's chair. The house cannot hold an official session in the absence of the speaker or his designated speaker pro tempore. Schmedlen, Jeanne Hearn (1998). Wisdom, Vision and Diplomacy: Speakers of the Pennsylvania House (A Biographical History of the Speakers of the Provincial Assembly and the House of Representatives, 1682-1998). Harrisburg, PA: Pennsylvania House of Representatives. "Speakers of the Provincial Assembly (1682-1790)". "Speakers of the House of Representatives since 1791".